Starting a blog is easy. It really is. Maintaining the blog (Writing content, marketing etc.) is the hard part. For less than $200 you can create a beautiful website to do whatever you wish. The links in this post are affiliate links. Using our affliate links helps us continue to provide you with all this great information at no cost to you. We appreciate your support. But before you do, be sure to take some time to research your name. Check to ensure the name is available on all of the social media websites. You are in fact building a brand and you want to ensure that everything is accessible to you. Once you’ve discovered that. Then grab it all on the social media sites. Twitter, Facebook FanPage, Pinterest, Instagram, Periscope, Snap Chat and so on…. Also ensure the domain name is available for gmail. Here are some deals you cant take advantage of to get the lowest price. When choosing.. Choose a .com. Most people are so used to .com that where their mind goes first, plus it’ll be better for SEO. 2.) Choose a hosting company. I recommend Bluehost. They are inexpensive plus they offer 24/7 support. They are especially helpful to the newbies who are getting set up and need some tender loving care. Check back for upcoming details on How to Setup Bluehost. 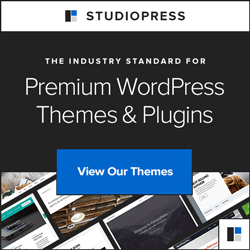 This is where we will setup your content editor aka WordPress. 3.) Studio Press. Get a customized beautifully designed website. You choose a theme that will match your needs/business. What I love about Studio Press is most of the designs they offer, give you the Genesis framework. Which is perfect for the newbie blogger. You don’t have to worry about hardcoding since a lot of plugins available are compatible. and that’s it. It’s really a small investment to test your passion out. Stay tuned for upcoming posts on how easy it is to set up bluehost and how to make money blogging. Hi I'm Gina. If you're a brand, looking for a brand ambassador or to have your product reviewed, connect with me and let me use my expertise to find where I can get you the most reach. If you're a blogging looking to connect with other Las Vegas Bloggers, need a consultant to help get your blog on track or start a new blog you can contact me by visiting my Contact Me Page. Or Email Me at gina@ginahorne.com Thanks for stopping by!